So obviously this weekend is all about the Royal Wedding. Whether you’re hosting a glitzy tea party, or you’re simply wishing the couple well, it’s nice to enjoy a bit of a treat alongside a special event. So, I thought it was only right to indulge in Prestat chocolate – they are Royal Warrant Holders after all! 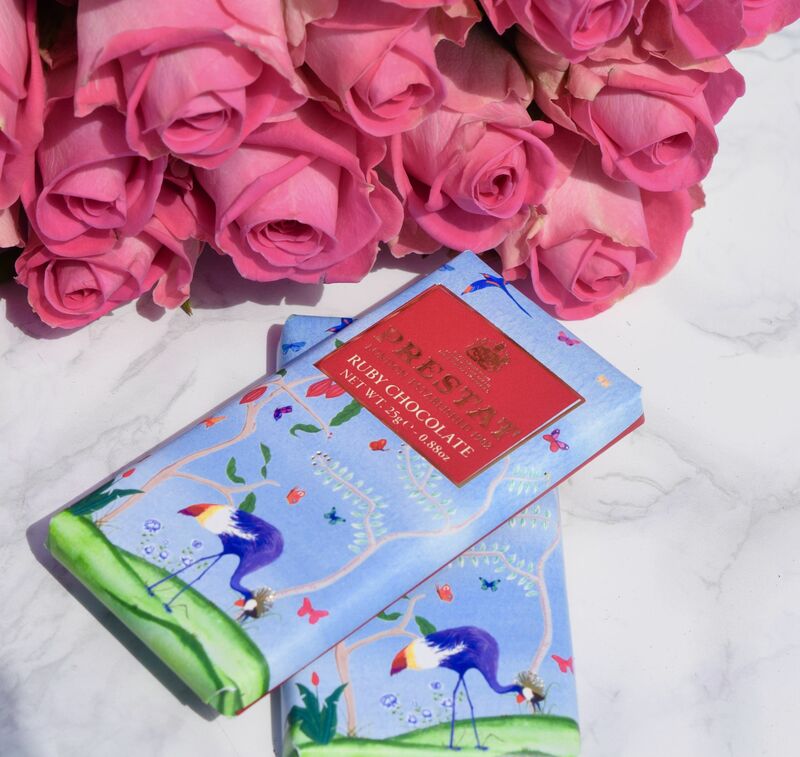 One of the things I just adore about the brand, is how unfailingly beautiful the packaging always is, and their brand new Ruby Chocolate Bars are no different. Wrapped in whimsical paper dotted with birds of paradise, these bars feel almost too cute to open. What’s inside though, is too good to miss! 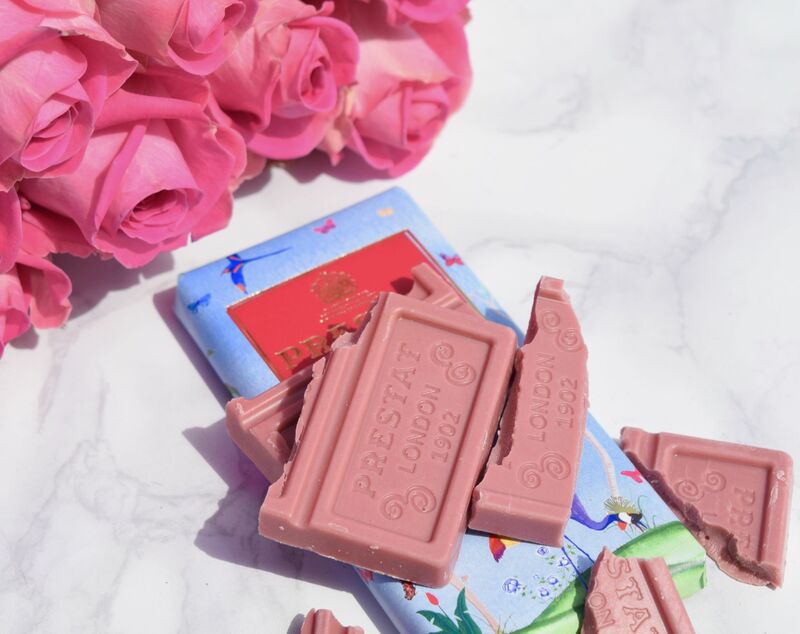 Ruby chocolate is the newest type to gain popularity (as opposed to dark, milk and white varieties) and it’s not only absolutely beautiful, but delicious too! Rather than being overpoweringly sweet and sugary like some white chocolate can be, the ruby version has a distinct sweetness which is balanced out with a gentle sour note. 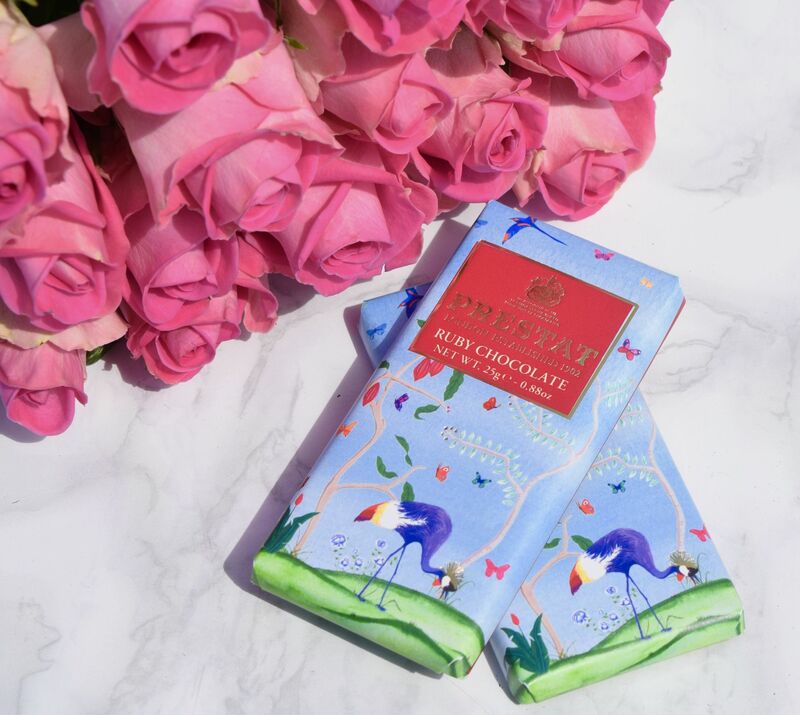 As you would expect from a royal chocolatier, Prestat’s Ruby Chocolate is wonderfully indulgent – creamy with a hint of fruitiness, it feels like a perfect option for summer treats! It’s also, obviously beautiful to look at too! 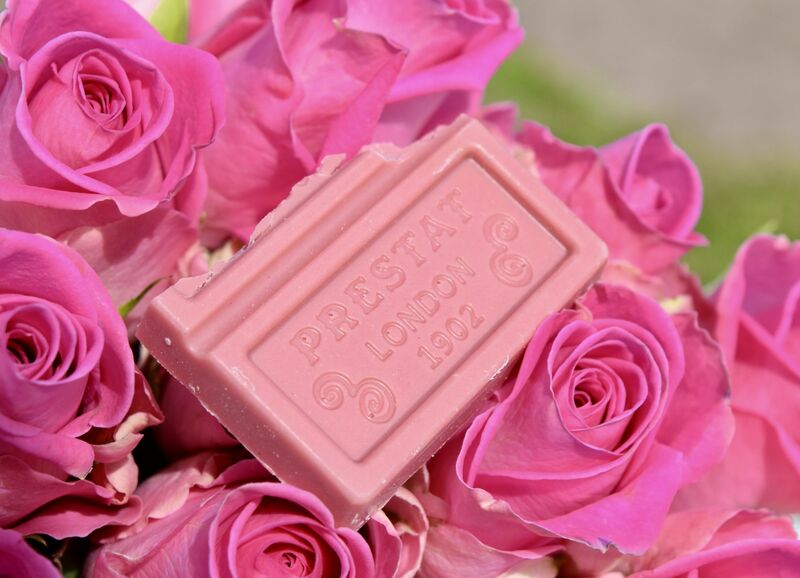 Prestat Ruby Chocolate bars are priced from £1.50 each, and are available here.